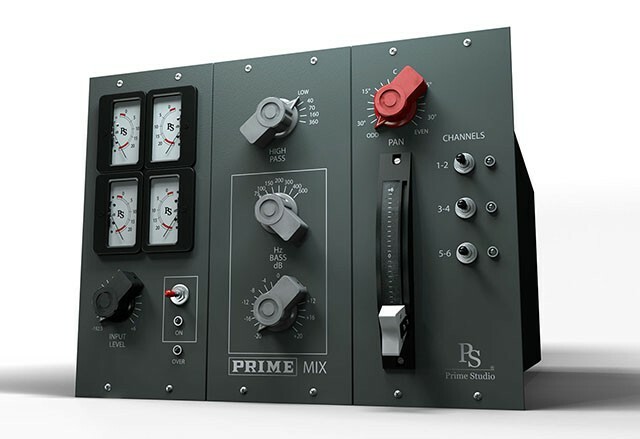 Prime Studio® Mix offers you the charismatic sound of six handmade transistor based console channels, each shaping the sound of your tracks slightly different. Having taken the highest effort to capture every sonic detail of the original transistor based sound, Prime Studio® Mix offers you the unique tone of three different channel pairs of classic British console design. Shape your sound with melodic filter and bass equalization. Add or reduce harmonic distortion using the input and output stages and place your tracks by adding the pan characteristics of seventies style consoles.